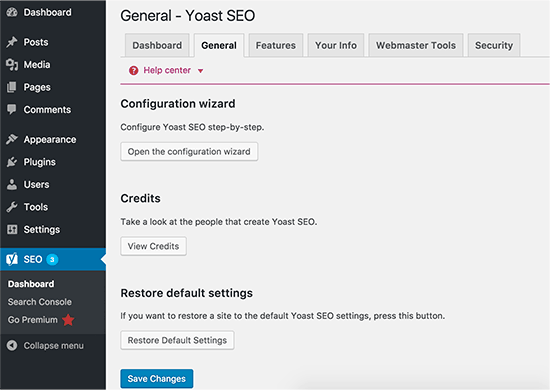 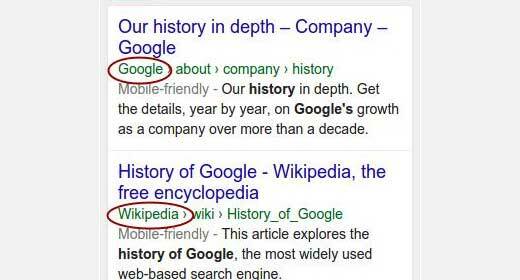 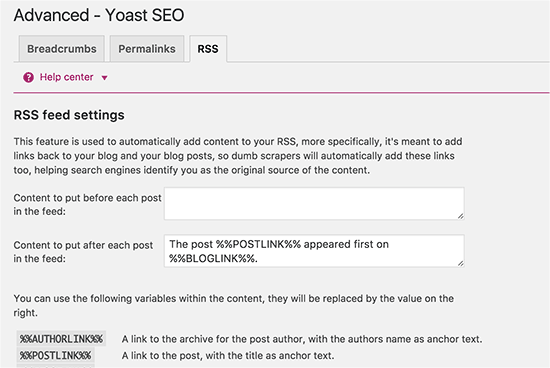 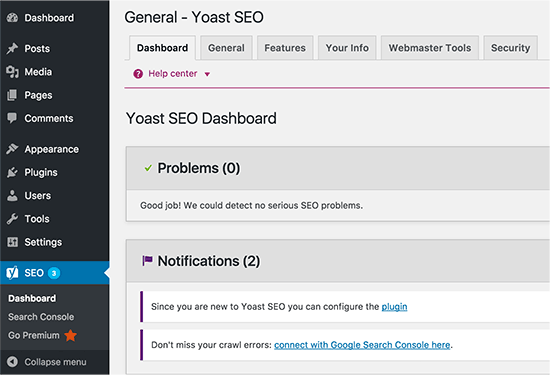 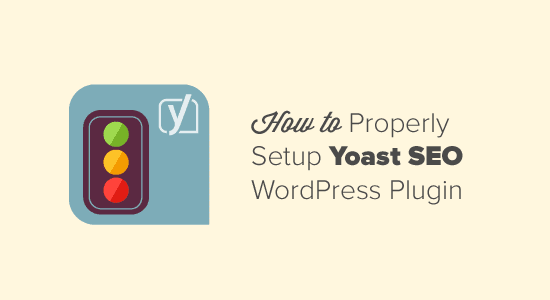 Read our WordPress SEO Tip for Beginners on optimizing blog posts. 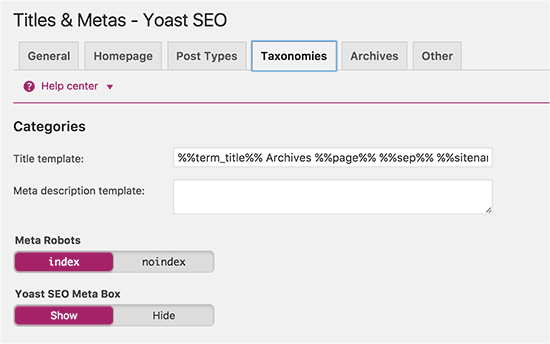 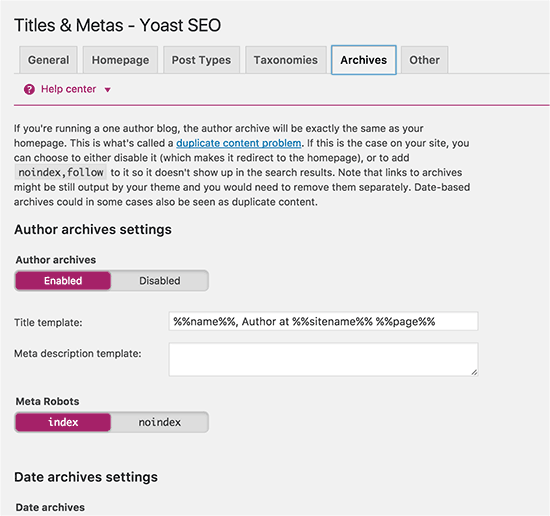 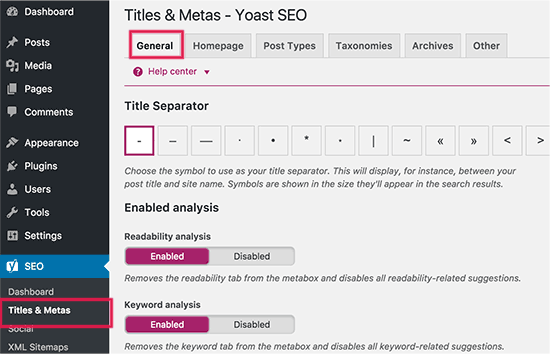 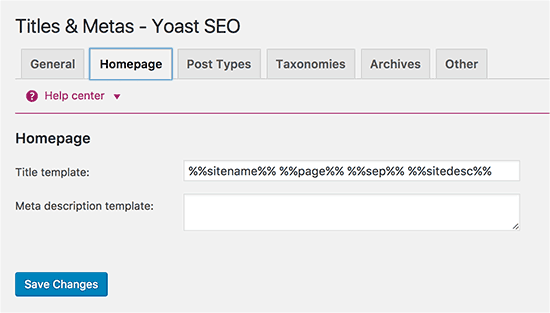 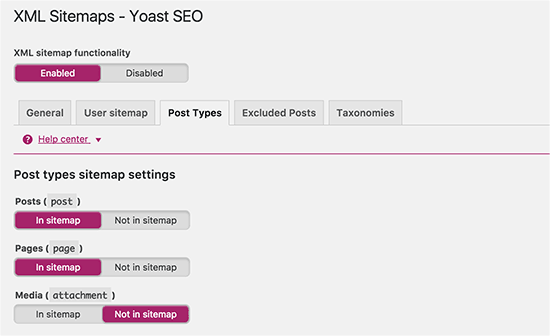 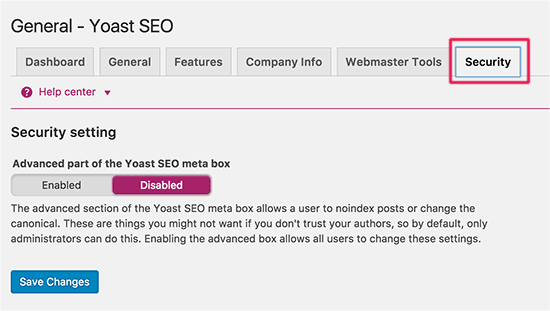 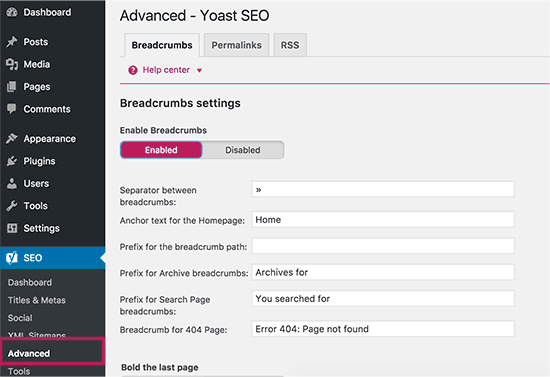 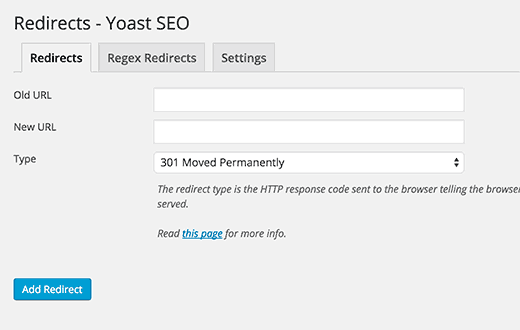 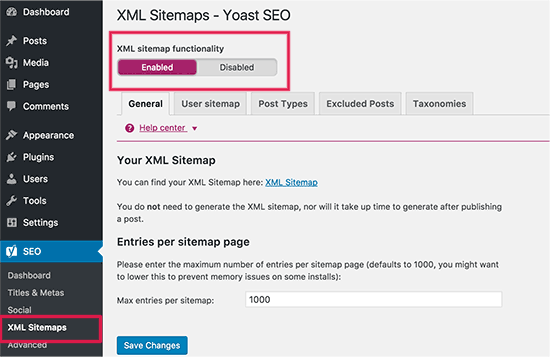 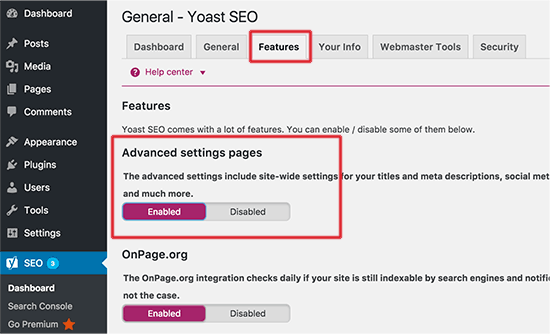 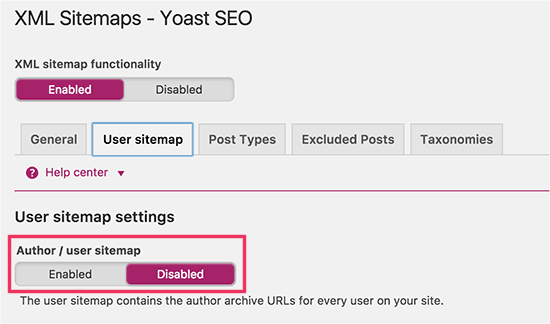 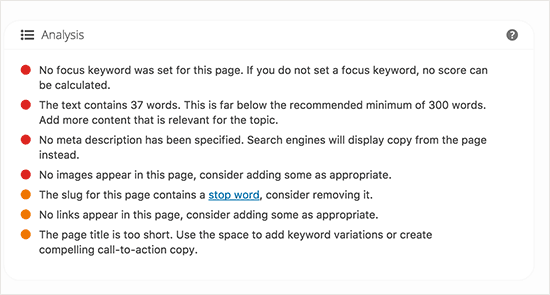 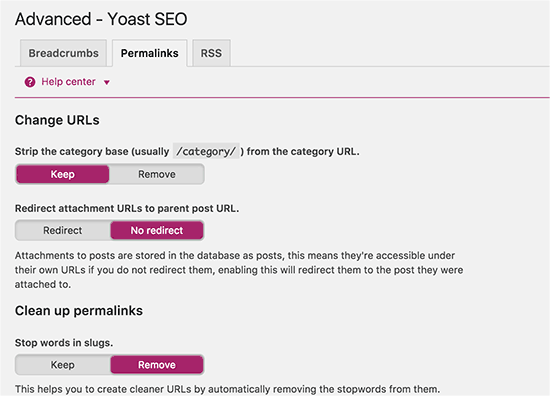 If you do not have any description for terms in your categories, tags, or custom taxonomies, then WordPress SEO does not add meta description in archives for these terms. 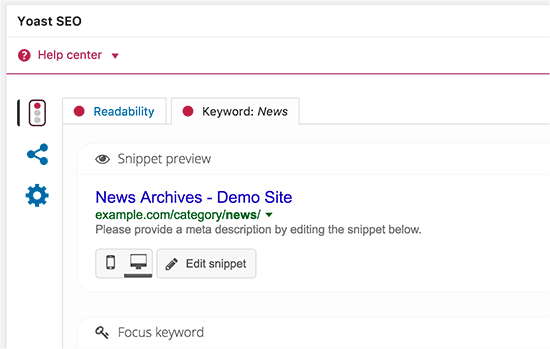 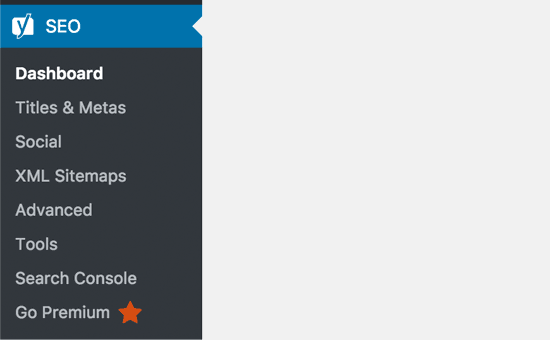 Check out our guide on categories vs. tags. 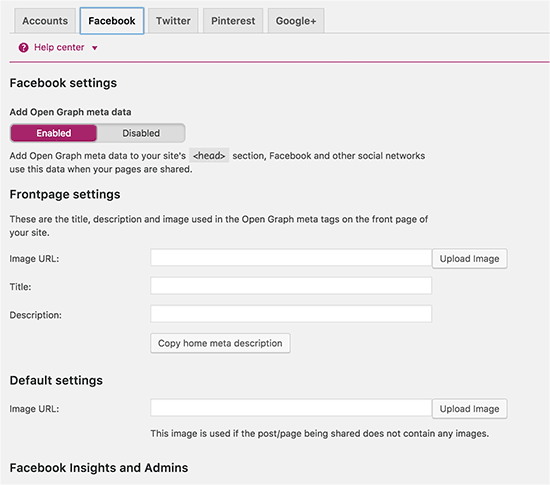 On the Facebook tab, first make sure that open graph meta data option is enabled. 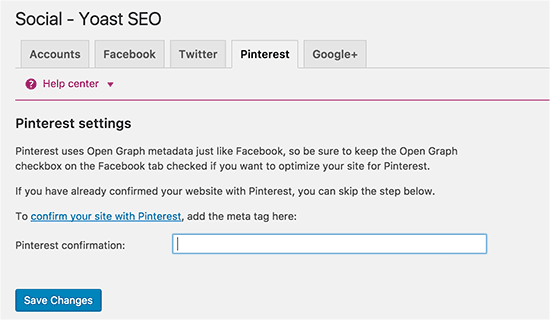 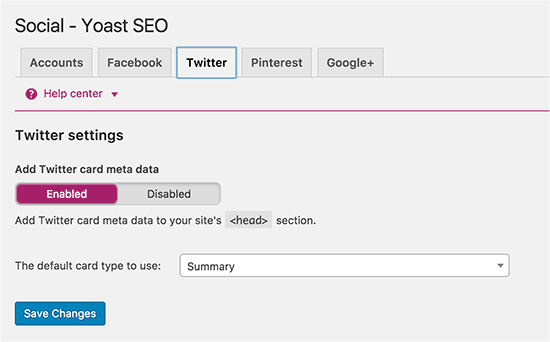 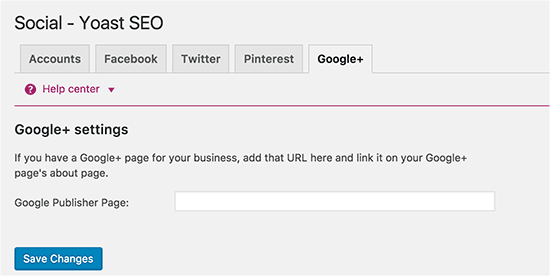 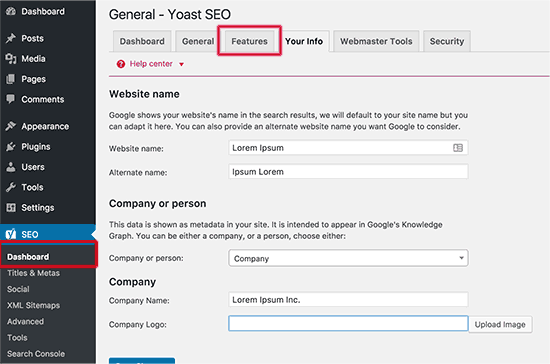 Checking this allows WordPress SEO to add Facebook open graph meta data in your website’s <head> section. 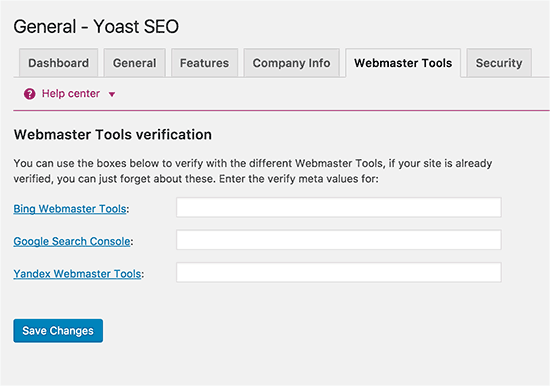 After that you just need to enter the site verification code provided by Pinterest. 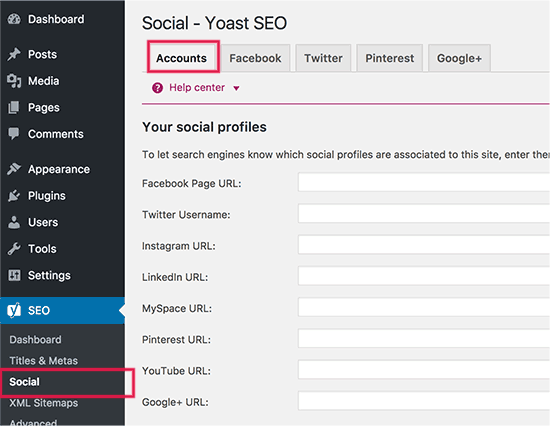 Simply visit your Pinterest account settings to add and verify your site. 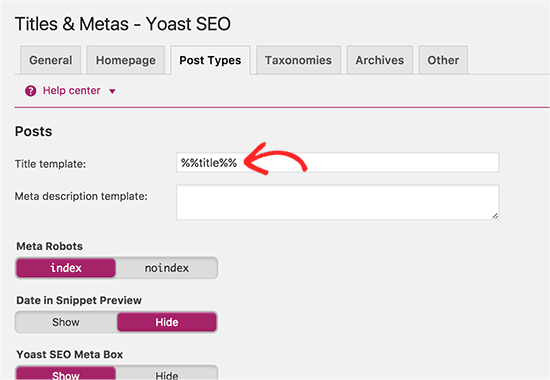 You will be provided with a meta tag that you need to enter here. 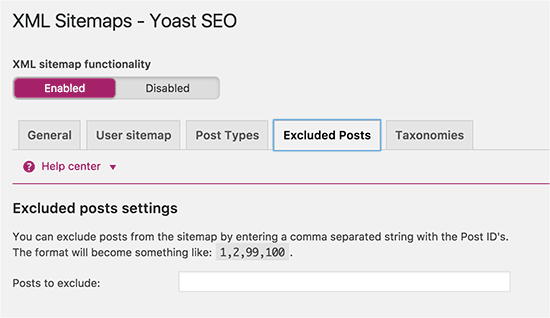 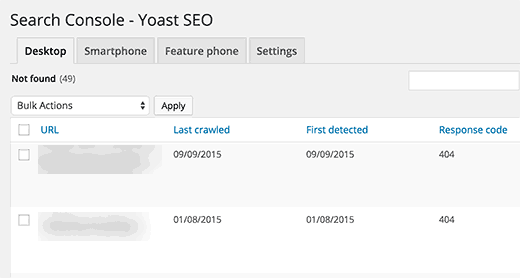 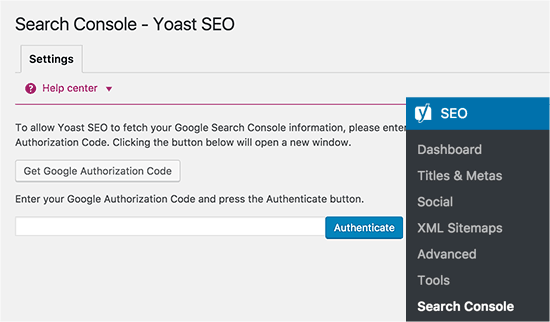 See our tutorial on how to find post IDs in WordPress.